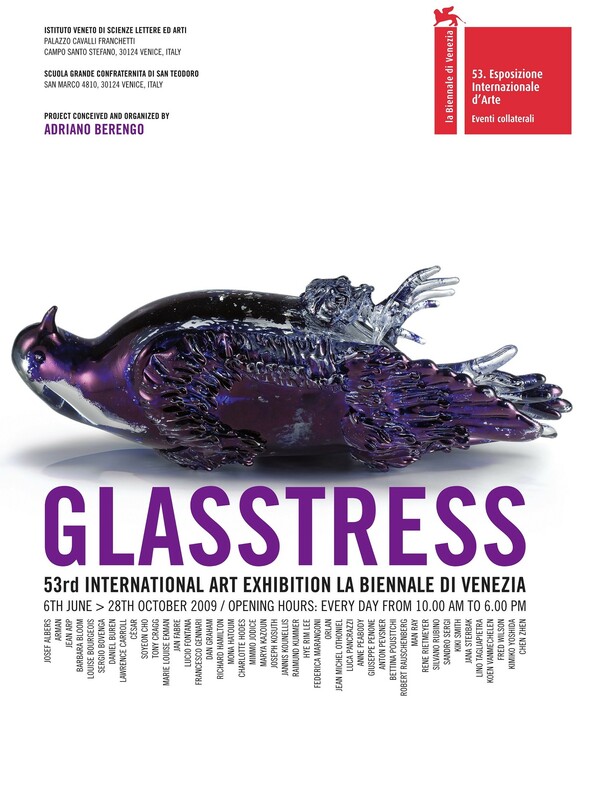 Glasstress 2009, a Collateral Event of the 53rd Venice Biennale, was an historic event that launched a movement, over a decade of exhibitions in Venice and across the world. Twenty years after the foundation of Berengo Studio, a unique glass furnace on Murano with the goal of bringing together glassblowers and contemporary artists, Glasstress was born. The result: a total shock to the art world. Glasstress shifted attention from the material itself to the ideas expressed in glass. People marveled at the works, the concepts and, the art. The theme of the 53rd Biennale was “the construction of new worlds,” the perfect context to present an exhibition that strove to imagine another world, a place where glass had the possibility of showing all of its potential thanks to the intervention of celebrated international artists. Prior to this, glass had not been present in the Biennale for almost 50 years.